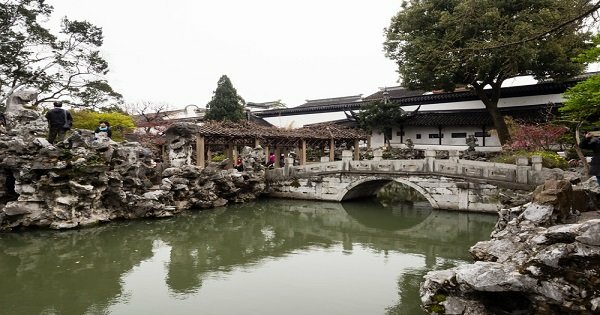 Take a guided tour through the glorious private gardens of Suzhou. 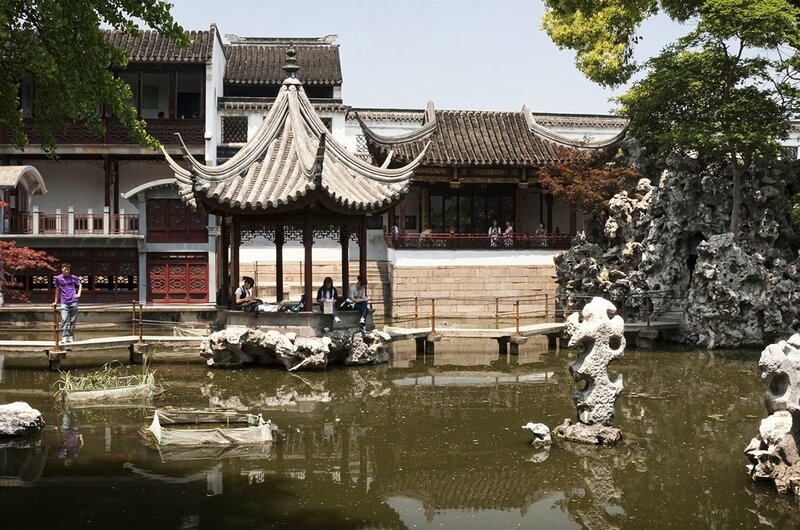 Suzhou is a city with beautifully landscaped gardens of historical significance. It has been referred to as "heaven on earth". Suzhou is known to be one of the oldest towns in Yangtze Basin. It covers an area of 6,264 square kilometres and rests in the richest area in the basin. 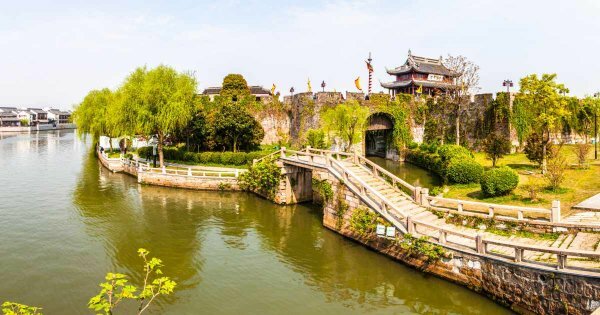 Step into silk on a sightseeing tour through the hometown of silk, Suzhou. Suzhou is renowned for its silk industry. The museum itself was built to show how China flourished with silk culture, the development of the silk industry and also Chinese history. Walk along the 'Silk Road' of shops retailing silk at exceptional prices. Also, history lovers can get a real sense of ancient China when they enter the Introductory Hall. It is an exhibit hall that shows the history of the production of silk through the Ming and Qing Dynasties. There is a workshop displaying and reproducing scenes from peasants breeding silk worms and planting Mulberry trees. Be sure to bring your pocket money as the stores along the 'Silk Road' are for sale. 1 The Administrator's Garden was built in 1509 during the Ming Dynasty. 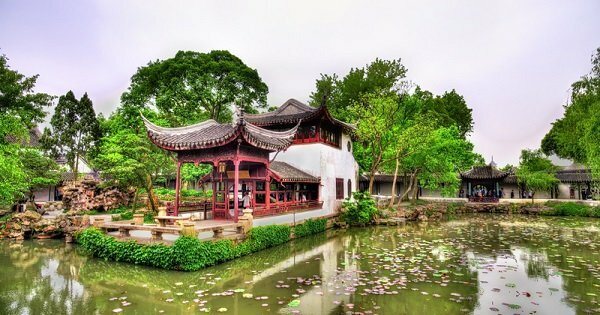 It is one of four famous gardens in China and is great for visitors to enjoy a guided tour of the unique designs and ethereal beauty. An excellent spot for people who love traditional Chinese architecture and gardens. 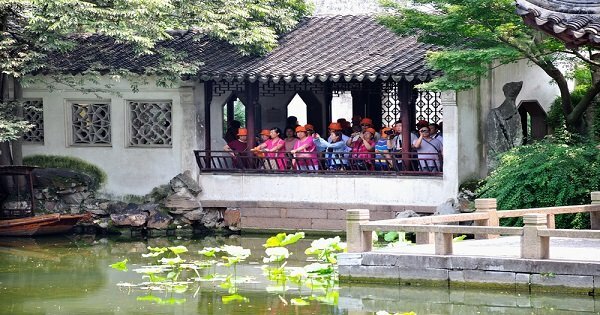 It is the most famous classical landscape and largest in Suzhou, it covers an area of 13.8 acres and takes about two to three hours to walk around. 2 Tongli Ancient Town was built during the Song Dynasty (960–1279) and is a Quiet and Classic Chinese Town. It holds over 1,000 years of history and is one of six famous ancient towns. It attracts lovers of Chinese architecture and culture of all ages. Its rivers, streets, bridges, homes and gardens combine perfectly and have earned the town the name "the Oriental Venice" due to its exclusive water town scenery. 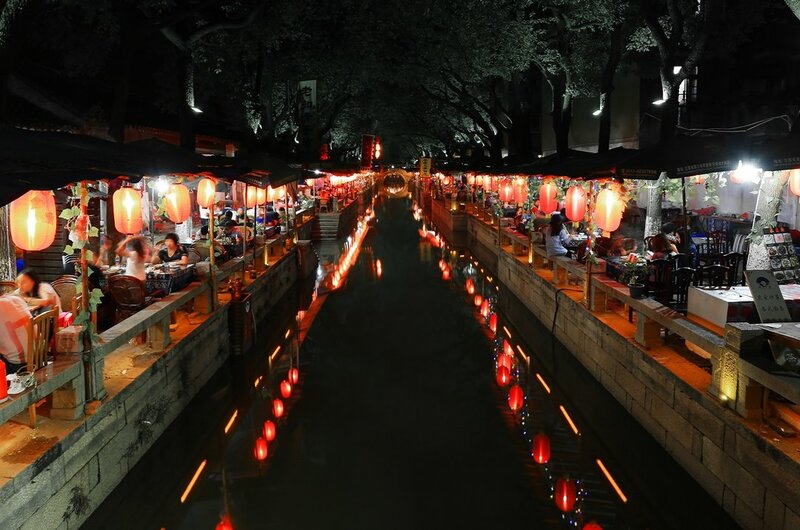 3 Zhouzhuang is another popular tourist attraction in Suzhou. It is among the most developed and commercialised water town in China. 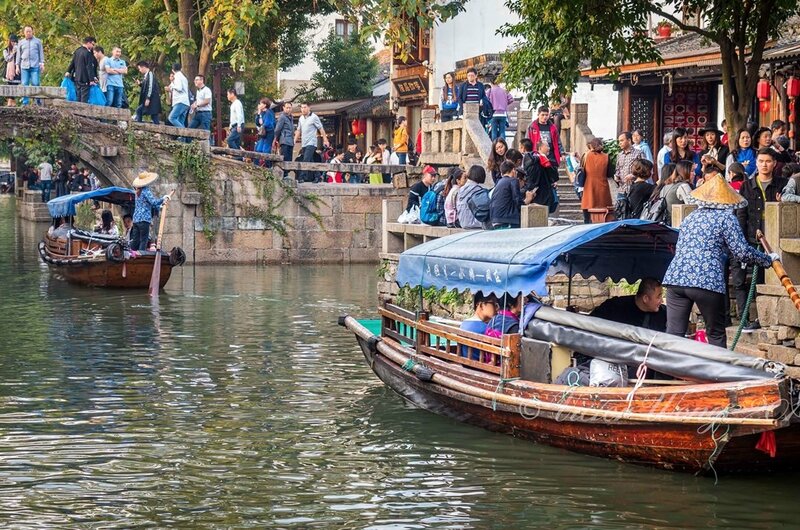 Built upon ponds, lakes and canals, this water town is loved by anyone that likes "old China" scenery, ancient architecture, crafts or boat tours. It would take at least a day to get around Zhouzhang and the best time to enjoy the beauty, peace and tranquillity is during the months of Spring and Autumn. 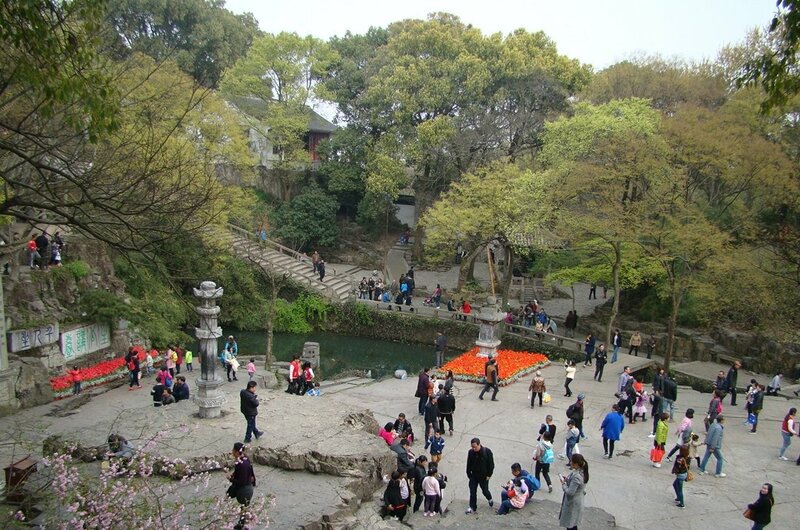 4 Tiger Hill attracts millions of visitors due to its beautiful scenery, historical sites and natural beauty. This ancient hill park has precious cultural relics, tombs of ancient kings, pagodas, temples, beautiful landscapes stemming 2,000 years. It is believed that a white tiger appeared on the hill to guard the King of Wu's burial ground three days after he died and hence where the name originated. 5 Panmen Gate is the gate to Suzhou and part of the Panmen Scenic Park. With a history of over 2,400 years, it is a great place to take a guided tour. Rebuilt over the last number of decades, the current history dates back to the Yuan Dynasty (1271-1368 AD). The Penmen gate is a two storied house with a curved roof and exhibits ancient weapons on the first floor. In the Scenic Park also see the Wumen Bridge and the Ruiguang Pagoda. 6 If you like visiting the Gardens but are looking for something with a bit of a 'kick' in it, the Grove is the place. 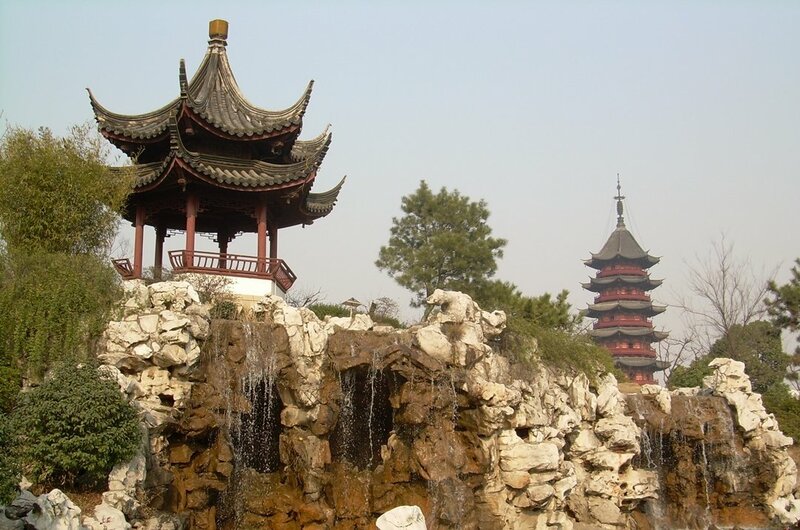 The Lion Grove is a Rock Garden and one of the nine classical gardens of Suzhou. It is a great place to take the family on a guided tour. It is a very entertaining garden with a complex maze that people can lose their way around. 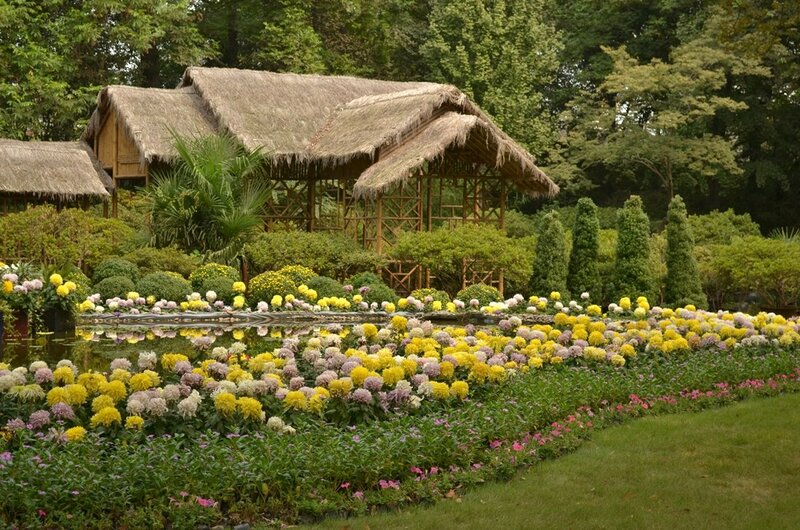 It has been considered a masterpiece of classical style garden by UNESCO. 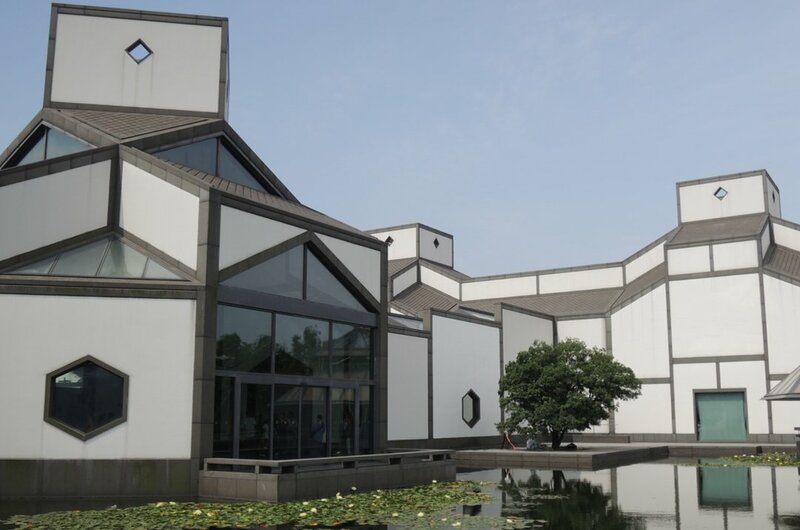 7 Anyone who likes history will like Suzhou Museum, designed by the famous architect Ieoh Ming Pei, which is situated on the same land as the home of the top general (Zhongwang), of the Taiping Heavenly Kingdom. This museum holds more than 15,000 artefacts that include cultural relics, Chinese paintings, porcelains, paintings, calligraphies, porcelains, gold and silver wares, precious stones and jade which can be seen on a guided tour. 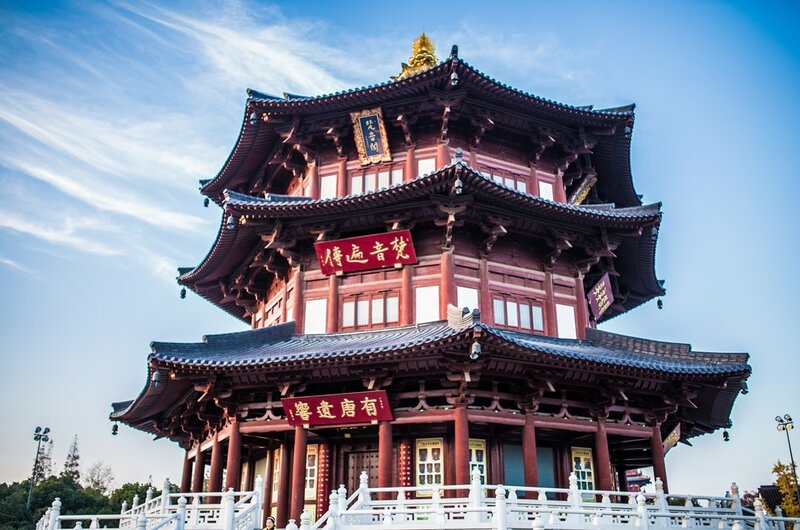 8 The Hanshan Temple is a prominent landmark and popular sightseeing tour destination. It is a Buddhist temple and monastery which has been reconstructed over the years but was built originally during the Tang Dynasty. It is named after the monk who lived there ( Han Shan) of which there is a statue along with some historical relics. A famous Tang Dynasty poet wrote about it in a poem 'A Night Mooring Near Maple Bridge'. 9 Take a guided tour of The Silk Museum found in the town renowned for its silk industry. It built to show how China flourished with silk culture, the development of the silk industry and also Chinese history. The museum is very elegant with white being the most dominant colour representing purity. It is fascinating to learn the history of the silk industry and to see all the interesting artefacts. 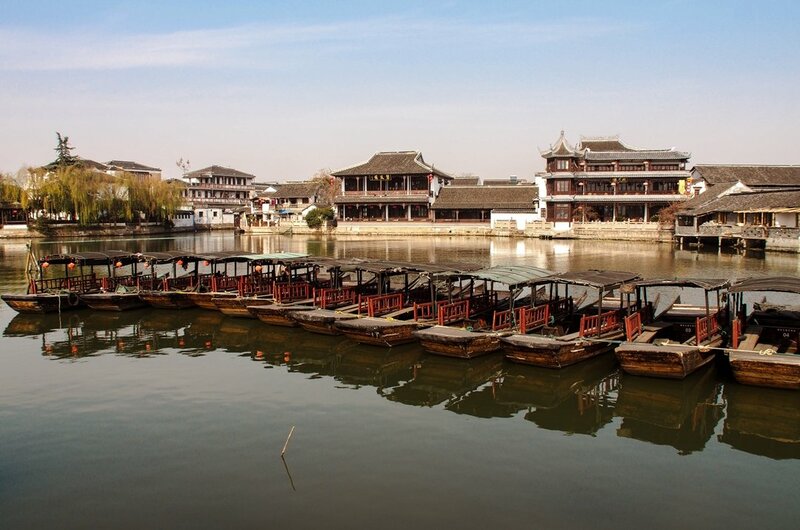 10 With a history over 2,000 years, Jinxi Ancient Town has a lot to offer to anyone who visits. This unusual water town is surrounded by rivers and lakes and has 36 bridges built in different dynasties For such a small town (one square kilometre) you will not be bored here. There are 238 rivers, 16 lakes and many museums. It is a wonderful place to take a sightseeing tour away from the bustling city. Although Suzhou is a good place to visit all year round the best time is spring time. These are the months whereby the visitors can enjoy various gardens as they gradually reach full bloom. It is during this time you can enjoy the delicious taste of a wide range of fruit, candied lotus root and Biluchun Tea. It is the best time to go on sightseeing tours because the temperatures are a bit more comfortable. The prices in Suzhou are low and cheerful or expensive, it all depends on you and the type of holiday you want and how much you have to spend. However, on average, Suzhou is cheaper than most other popular destinations in China. Enjoy delicious food that is cheap yet tasty, with dinner costing from US$20 for two people. Hotels vary in standard and prices from US$30 - US$100 for a double room. When travelling during Spring and Autumn, the weather can be cool and windy so pack with that in mind. Exit visas are needed before your arrival into China. There are many restrictions on the purchase of certain goods and souvenirs and don't be surprised if you are given questionnaires to fill in. These should be completed honestly, or you could jeopardise your entry or exit from China. Suzhou climate is a humid subtropical climate; It experiences hot, humid summers, and winters that are damp, cold, cloudy, with occasional flurries. Spring and Autumn are much more pleasurable. Suzhou sees an annual temperature of around 15.7℃. On average, it is coldest in January when temperatures drop as low as 2.5℃. and the warmest in the month of August, with an average temperature of 30℃. Visit the Humble Administrator's Garden and Lion Grove Garden (Shizilin) to enjoy their ancient classical style. 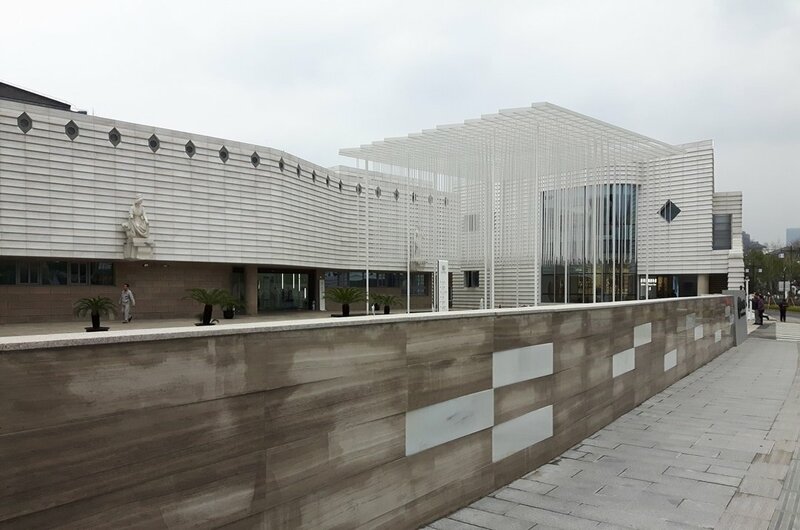 See Suzhou Museum and stroll along Pingjiang Old Street. Visit the picturesque Tiger Hill, Shantang Street, take a boat tour and visit the typical Qing style Lingering Garden (Liu Yuan) and the Buddhist Hanshan Temple. 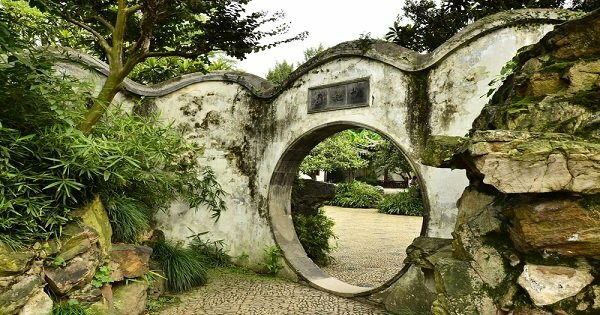 Visit the Humble Administrator's Garden, Master of Nets Garden and Lingering Garden, and learn the splendid history and culture of this city.